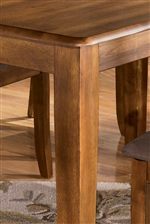 This 36 x 60 Kitchen Table features a rich hickory stained finish that continues to the four wood seat chairs and the bench. 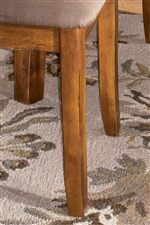 Together this set creates an inviting country ambiance perfect for your kitchen's dining area. The Berringer 36 x 60 Table with 4 Chairs & Bench by Ashley Furniture at AHFA in the area. Product availability may vary. Contact us for the most current availability on this product.